Joel Tarr has held a joint appointment at Carnegie Mellon University’s Heinz College since 1967. He is also a member of the Departments of History and of Engineering and Public Policy. Tarr’s main research interests deal with the history of the urban environment and the development of urban technological systems. He has a special interest in the application of historical knowledge to contemporary problems. He has published widely on issues of water, air and land pollution. He has also published on the evolution of different elements of the urban infrastructure including communications systems, water supply and wastewater disposal systems, energy systems, and transportation. 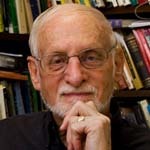 Tarr has been the recipient of many awards including the CMU Robert Doherty Prize for “Substantial and Sustained Contributions to Excellence in Education.” In 2008, the Society for the History of Technology Leonardo da Vinci Medal for “Outstanding Contributions to the History of Technology”, and the Public Works Historical Society Abel Wolman Prize. He has served as President of the Urban History Association and of the Public Works Historical Society. His articles have appeared in many collections and journals, including: Agricultural History, American Journal of Public Health, American Heritage of Invention & Technology, Business History Review, Civil Engineering (ASCE), Environmental History, Journal of Social History, Journal of Urban History, Journal of Water Resources Planning and Management (ASCE), Journal of Environmental Engineering (ASCE), Public Works Planning and Management, Public Historian, Technology and Culture, and Urban Technology.